Some of these bands turned out to be charlatans, merely warmed over alternative or indie rock with more distortion and self-pitying, whining lyrics. Others had something innovative to offer, namely a distinct perspective on what it is to live in a failing civilization when, thanks to its social rather than reality-focused orientation, all things true and good seem to be sacrificed on the altar of human vanity. Instead of playing to rage for order, doom metal indulged in a sense of fatalism, anomie, atomization, and despair. Joe Hasselvander (Pentagram), Greg Chandler (Esoteric), Justin St Vincent (author of the essay “The Spiritual Significance of Music”), Mauro Berchi (Ras Algethi, Eibon Records), Misantropus, Paul Kuhr (Novembers Doom), Jordy Middelbosch (Phlebotomized), Albert Witchfinder (Reverend Bizarre), Urlo (Ufomammut). Fair disclosure: you may recognize one of those author names as the author of this article. It was great to be able to contribute to this work on the nexus between fatalism, nihilism, and a sense of pervasive doom and futility, and then to explore the possibilities for triumph within even those darkest of sensations. Doom is not only a musical genre but it is also a concept as old as humankind, which will be interpreted and decoded in various historical periods to arrive in the form of music, dark and tragic, until the new millennium. 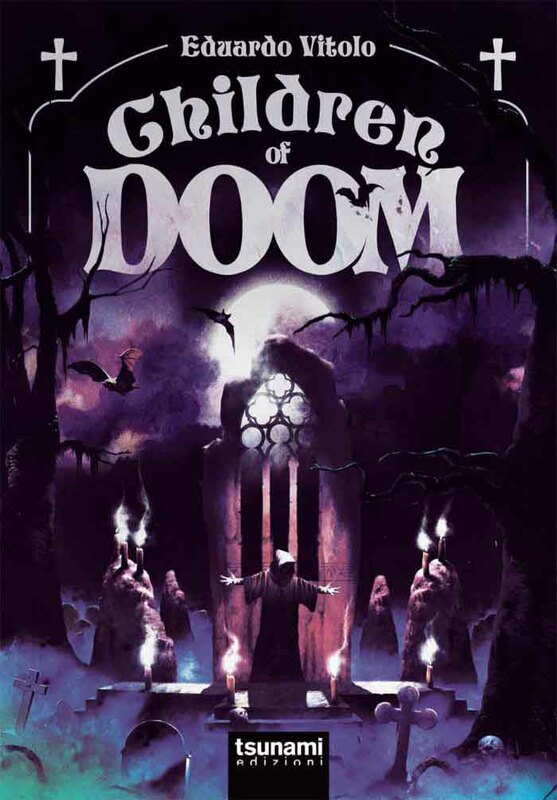 Children Of Doom is a complex and heterogeneous account of this shady, sonic and conceptual evolution that has always involved scenes and musicians from all over the world, all united under one, terrible archetype: the death and the imminent end of all the things. A long excursus that starts from the dark years and superstitions of the Middle Ages, passing through the first, unknown pioneers of the genre, up to the solitary and dramatic heroes of the real doom and a large group of followers and sinister prosecutors who do not even stop. Eduardo Vitolo is a freelance journalist, musical essayist, blogger, author and radio speaker. So far he has published the following books: Horror Rock, the music of darkness (Arcana Editions 2010), Sub Terra, Extreme Rock and Culture Underground in Italy, 1977 – 1998 (Tsunami Editions 2012), Black Sabbath, Neon Knights. Texts commented (Arcana 2012, Mondadori reprint 2015), Magister Dixit, the Esoteric Legend of Jacula and Antonius Rex (Tsunami Editions 2015). The book is written in Italian. Good news! I’ve found the recordings used in Massacra’s ’89 demo and Final Holocaust. Is this the same cat who was on the Expanding Mines podcast?